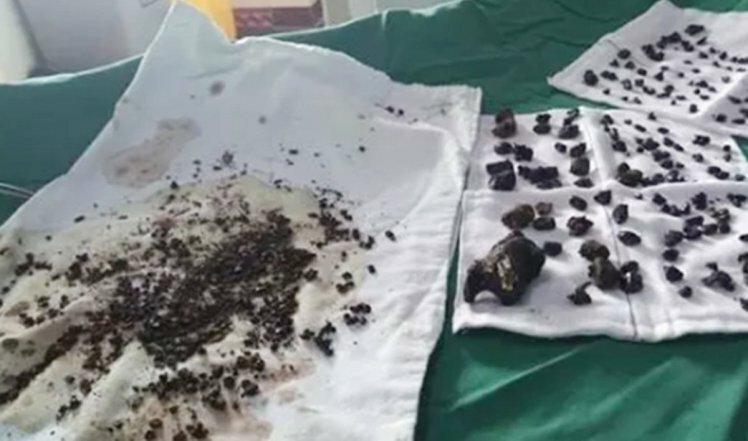 Home / Health / News / Unbelievable / Viral / Doctors Have Found More Than 200 Stones Inside The Body Of A Woman Who Skips Eating Breakfast Every Day! Doctors Have Found More Than 200 Stones Inside The Body Of A Woman Who Skips Eating Breakfast Every Day! Many consider breakfast as the most important meal of the day. It gives a person the glucose, and therefore the energy, they need at the beginning of the day to accomplish their first activities. Skipping breakfast leaves people undernourished making them restless, tired and irritable. These are not the only detrimental effects of skipping the most important meal of the day as Ms. Chen from China found out the hard way. At age 45, Ms. Chen began feeling abdominal pains back in her mid-thirties, around 10 years ago. Due to fears of going under the knife, she went against her doctor’s orders to get surgery. Last week the pain was absolutely unbearable and she finally agreed to have the operation. 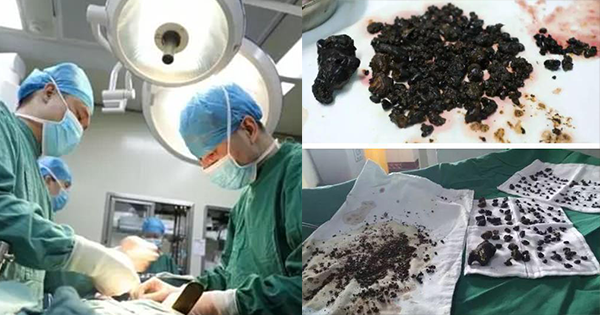 It took just over 6 hours for surgeons to remove the gallstones from her body. Gallstones are masses that form inside the gallbladder and are made up of cholesterol and usually, don’t cause any symptoms and do not need treatment. When gallstones grow in size and get trapped in ducts inside the gallbladder they can cause abdominal pain. This can lead to inflammation of the gallbladder and induce a fever, jaundice and extreme pain. 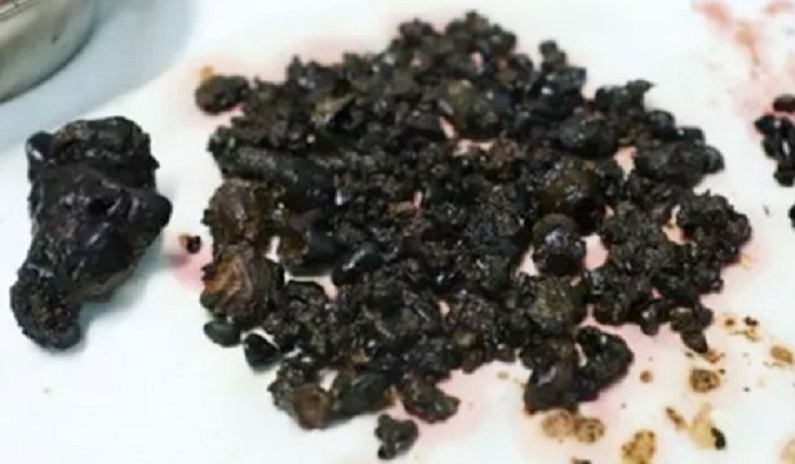 Ms. Chen did not have a regular schedule for her meals and usually ate leftovers, her vocation involves the collection of brown or yellow sticky substance from pine trees called rosin (commonly used for soldering electronics). Her irregular eating schedule had her skipping breakfast for about 10 years. 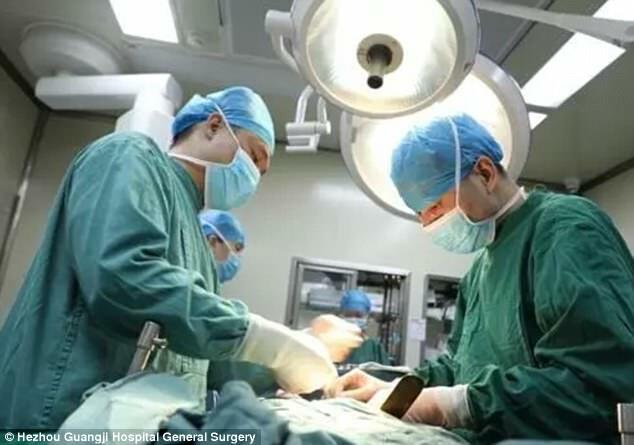 According to metro.co.uk, Dr. Quan Xuwei performed the operation to remove the large number of gallstones found inside Ms. Chen, according to him; when a person does not eat breakfast, the gallbladder ceases to shrink or expand. This allowed bile to build up and over time it formed gallstones which also elevates cholesterol and calcium levels in the body. According to metro.co.uk, the National Health Service of the UK (NHS) says that women that are over weight and above the age of 40 are the most susceptible to having issues with gallstones. What did you think of this story? Do you skip breakfast on a regular basis? Share your thoughts and opinions with us and other netizens in the comments section below!